I have this illness.. I can't keep anything stock..especially if I think I can improve on nissans engineering.. even if that's not the case I gotta try... if u search my sn ull see I once had a 98 that I used a few 240sx parts on.. along with attempting to swap a 240sx intake manifold onto the truck.. I was unsuccessful. 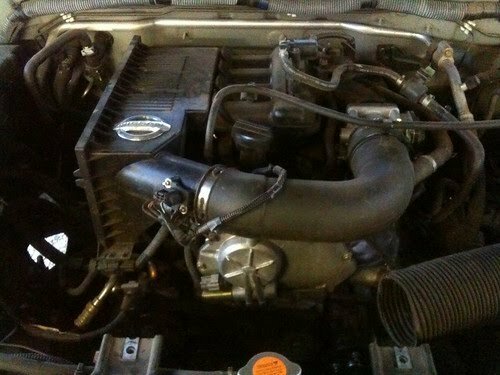 But at least I tried... so I recently purchased this 2019 4cyl qr25de 2wd frontier... the first thing I noticed was the huge lack of power compared to the 4.0... then I realized part of the problem... nissans engineers completely flopped when designing this horrendous intake manifold.. I don't care what anyone says, there is no way that thing flows to it's full potential... anyway.. 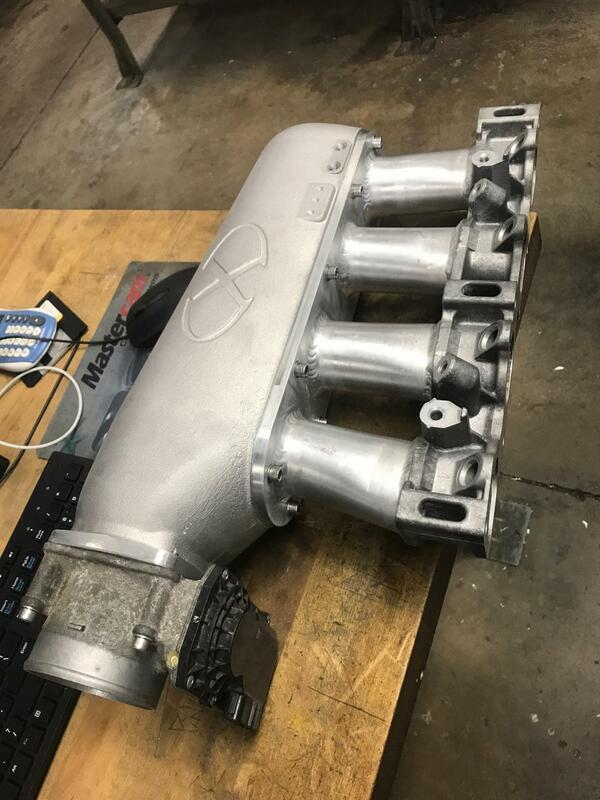 I decided I would try to make a setup more to my liking.. in my research of the qr25de I found that the Altima intake was a 2 piece setup.. the lower which is aluminum and the upper which is plastic.. that's where I would start.. i sourced a Altima lower manifold from a local salvage yard for $10, then ordered 4 runners and plenum from xcessive manufacturing.. I decided I wanted to use the vq40de throttle body since its 70mm. So I had my local machine shop make a throttle body adapter.. then just had it all welded together.. not quite sure on fitment yet, but if I relocate the battery, there should be plenty of room once that monstrosity Nissan thinks is a intake manifold is out of the way.. here is the finished manifold... will be doin install soon along with dyno results..
nice. whats the factory one look like for a comparison? I am a bit sad my 4 cyl doesn't have a stronger mid range. The little engine has a 4" stroke and should have gobs of torque. I'll be curious how shortening the intake runners will have on the mid range driveability. The work you put into that nice manifold would have been fun if it fit an Eaton M-62 on the side of the engine. Now that would be torque! Of course a new ECU would probably be required for tuning. Last edited by Tomterrific; 04-16-2019 at 06:34 AM. I'm bettin the factory will out flow your setup by a large margin. yours has to much volume in the runners an plenum,to many 90 degree turns and looks like something off a john deere tractor, but hey at least your having fun. Nice, the design looks like it should net you some decent gains mid to high range power.